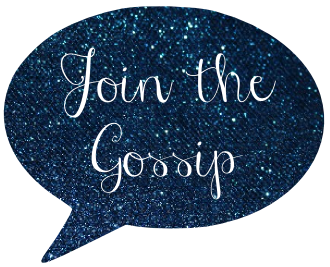 I was so excited when I received Leeann's email to guest post on Join the Gossip. I know I could never keep up with Leeann's fabulous post, but I thought I would give it a shot! My name is Denice and I head up the blog KDC Events. My two best friends and I started planning parties a few years back. We have recently been on a break from physically planning parties (because I had a baby), but we have kept up the consulting and have continued to foster our idea wheel! 1) Deep clean your house a week before, and do touch ups the night before. This means you can't wait until the last minute to clean, it has to be ALL DONE a week before. This includes your laundry! 2) Do all of your food and decorative shopping 4 days before your party. When you get home, organize all of your party items off to the side (possibly on a dining room table or in a spare bedroom). Don't put them all away, keep them out and together. 3) Have your menu completely planned out. This includes appetizers, drinks, salad, bread, main course, sides, dessert, coffee, condiments, etc. Leave nothing to think about! Make a LIST! 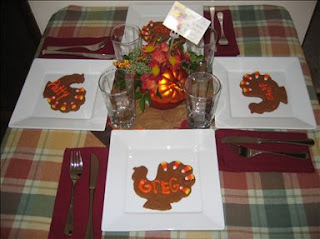 4) Set all of your table(s) the night before. In fact, put out as many of the decorations you can the night before (as long as they will not get ruined or fall). 5) Have all of your meals, desserts, etc. made/prepared the day before or the morning of your party if possible. By doing this, you can have your dishes all done, and the mess cleaned up. All you will have to do is pop it in the oven, and not have to spend time preparing things, this means you get to be with your guests, not in the kitchen. 6) If any of the food can be cooked in a disposable dish, DO IT!! Then you can just toss it when you are done, thus eliminating the need to clean it. 7) Label what dishes will hold what items. This way if your guests help you, they will know where things go. 8) Have plenty of seating for all of your guests. If you invite 10 people to dinner, have a table set up to hold 10 people. If this requires you to borrow tables and chairs, get them a few days before hand, not the day of. Also try to make it personal, and use a fun place-card. 9) Enlist the help of a friend for clean up. Having someone to help you takes the pressure off of you to be the hostess Or host with the most! 4 hands are always better than 2, and much quicker. Be sure to have plenty of containers for left overs. This helps aids in a quick clean up. 10) 30 minutes before your guests are scheduled to arrive, light your candles, turn on your music, ice your drink glasses, and put out your appetizers. Sit down, pour yourself a drink and have a great time! One side note: Always have a "Plan B". If you are planning to eat on your patio, plan for what you will do if it's too cold, too windy or too hot. Now you will not be frantic when you have to use it! Well, there you have it. I am sure I could have gone on for DAYS!!! I love to entertain, and I love it when my friends say I make it look so easy. The truth is, it's not easy, I just am well prepared! If you take a little time to organize, plan, clean, and prepare, you can have a successful, stress free event that you will actually enjoy! Thanks Leeann for having me! I hope everyone enjoys my tips!! Have a great vacation! Great post! It's amazing how the little things all add up when throwing a party! You list is wonderful! These are such great tips! I'm always looking for party ideas. I love having parties and small get togethers! Thank you for the excellent tips! All good advice. :) Unfortunately I'm the least organized person on the planet! I could benefit from planning things ahead of time, ha! This is amazing! I love the idea of setting everything out the night before. I'm always scrambling the morning of the party. Great guest post, Denice!